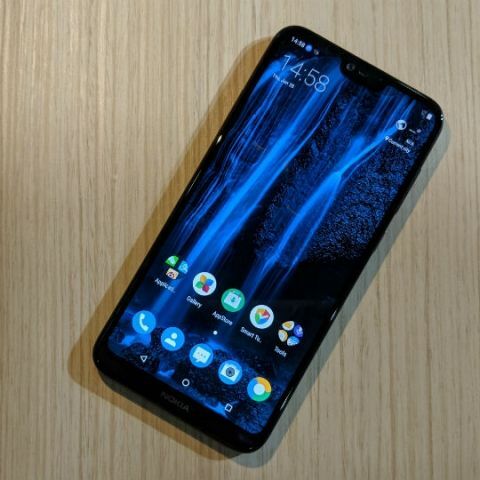 The Nokia X6 is the first smartphone from HMD Global to sport a notch. While the device is currently only available in China, there are reports that it might make its way to India as well. We managed to get our hands on the device before it makes its way to our shores. The Nokia X6 sports a unibody design with a glass rear panel. It sports a dual-rear camera setup with the fingerprint sensor located below the camera module. The Nokia X6 features a 5.8-inch Full HD+ display with Gorilla Glass 3. The display has a 1080 x 2280 pixels and a display aspect ratio of 19:9. The big new addition with this phone is obviously the notch. Located just above the display, it is smaller than the one found on the Apple iPhone X. It houses the earpiece, 16MP front camera and sensors. The Nokia X6 is powered by a Qualcomm Snapdragon 636 SoC and is available in three variants. Two of the variants offer 4GB RAM with 32GB and 64GB storage each. The top-of-the-line variant offers 6GB RAM with 64GB storage. The Nokia X6 is equipped with a 16MP + 5MP dual-rear camera setup with a f/2.0 aperture lens and 1-micron pixels. Nokia is touting improved AI features on the smartphone for improved photography and it is said to detect the scene being captured and automatically optimise the colour contrast and depth of field. The Nokia X6 also comes with Nokia’s Pro Camera app. The app gives users easier access to camera settings, which can be brought up by pulling the shutter button towards the top of the phone. Like most Nokia phones, the Nokia X6 runs the latest version of the Android operating system, v8.1 Oreo. However, the Chinese variant is not a part of the Android One ecosystem. However, if and when the company launches the smartphone globally, it should come with Android One. Which means timely software updates. For more information about the Nokia X6, click here. You can read our first impressions of the Nokia X6 here.